As chartered town planners we have considerable professional knowledge and experience of the planning system and we have acted for clients in supporting and submitting planning applications on a range of development proposals, helping to secure planning permission for commercial, residential and other developments. Most planning applications, and applications for listed building consent, must be accompanied by a planning statement and a design and access statement. The purpose of these statements is to explain the design principles and ideas behind the proposed development and how it fits in with the relevant planning policies. At a time when the planning process has become increasingly complex we have extensive experience in preparing the necessary planning statements as well as submitting planning applications, to ensure that the proposals are presented in the most effective and appropriate manner to increase the chances of obtaining a planning approval. We are able to work singly or alongside other professionals to prepare and submit comprehensive applications. Working as part of a professional team TRIGPOINT Conservation & Planning prepared a planning statement and a retail sequential assessment in support of the redevelopment of the Duflex factory off Station Road in Castle Donington. The plans prepared by architects Stephen George & Partners made provision for a new supermarket along with four smaller retail units and a children’s day nursery. The planning statement provided an assessment of the proposed development having regard to the local and national planning policies on new retail development and the retail sequential assessment demonstrated that, although the site was outside of the village centre, this was an acceptable location for the proposed development. The planning statement and retail sequential assessment were submitted, along with supporting retail impact and transport statements, in support of the planning application, which was granted permission by North West Leicestershire District Council. TRIGPOINT Conservation & Planning were called in to rescue a development that had commenced without planning permission and had been brought to the attention of the local planning authority. In what can only be described as a unique proposition, our client had built a ‘pirate island’ on a lake within land that he owned, comprising of a range of bespoke, pirate-themed timber framed buildings, including a pub, dubbed the Black Doubloon, and the Coffer’s Cabin, built in the style of a military commander’s office. With the threat of enforcement action, TRIGPOINT was able to work with the local planning authority, submitting a retrospective planning application supported by a robust planning statement. Having satisfied the local planning authority that the development had little impact on the local area, the scheme was granted planning permission. TRIGPOINT Conservation & Planning worked as part of a professional team, with architects Stephen George & Partners, to support the redevelopment of the former British Rail offices in Nottingham for a new data centre and office complex. TRIGPOINT provided a planning statement that demonstrated that the proposed development complied with the objectives of local and national planning policies, and also prepared a sequential test in view of the flood risk to show that this was an acceptable site for the proposed development. 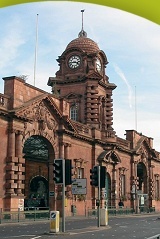 The planning statement and sequential test were submitted, along with a transport statement, in support of the planning application, which was granted permission by Nottingham City Council. 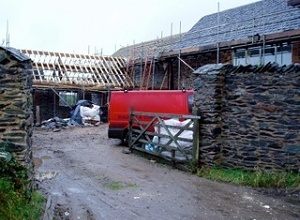 Working as part of a professional team with Koyander Architects of Chesterfield, TRIGPOINT Conservation & Planning prepared a detailed planning statement for the change of use of a group of farm buildings in the countryside to three dwellings. The supporting statements prepared by TRIGPOINT were able to demonstrate that the farm buildings were of some historic importance, although not listed, and in the light of the District’s shortfall in housing supply, the proposed development satisfied the local and national planning policies. The local planning authority accepted the merits of the case and planning permission was granted by Bolsover District Council. TRIGPOINT Conservation & Planning produced a planning statement to support proposals for a residential development of 5 new dwellings on a small site behind an existing residential development, Garats Hay. The site was situated outside of the settlement limits, but the supporting planning statement prepared by TRIGPOINT was able to demonstrate that the site had been previously developed and in the light of the shortfall in housing supply, the proposed development satisfied the local and national planning policies. Charnwood Borough Council accepted the merits of the case and granted planning permission. TRIGPOINT Conservation & Planning produced a planning statement to support proposals for the redevelopment of an old industrial site for the erection of thirteen dwellings in the centre of Rothley. The supporting planning statement prepared by TRIGPOINT was able to demonstrate that the proposed development constituted a more beneficial use of the site in the light of the District’s shortfall in housing supply, and consequently the proposed development satisfied the local and national planning policies.